Bollywood-focused video streaming startup Spuul has inked its first distribution deal, after top Indian handset maker Micromax began pre-loading its app on its latest smartphone. The phone-maker is second only to Samsung in India. It accounted for 19 percent of smartphone shipments in the country during the first four months of 2013, according to CyberMedia Research. This week, Micromax launched its flagship Canvas 4 A210, which retails at Rs.17,999 ($300) and is similar to Samsung’s Galaxy Note ‘phablet’. The device comes with Spuul, messaging app Hike and other services pre-loaded, and includes one free month of Spuul’s premium streaming service. Its paid-for service is $4.99 per month and includes unlimited access to a catalog of more than 1,100 TV shows and films. Spuul is a freemium service and much of the content can be watched without charge, though some movies are individually priced from $0.99-$2.99. It’s not immediately clear whether Micromax will bundle Spuul on other future devices, but the agreement is sure to widen Spuul’s audience and grow its visibility among film fans in India. Founded in 2010 by three film and tech veterans, Spuul provides Bollywood and India-focused content for both an audience of Indian and global users. The service made our list of 13 top media apps in 2012 after it launched on iOS in May before a dedicated Facebook app was released in December. Spuul for Android arrived later, hitting the Google Play store in February 2013. Micromax’s Canvas 4 is impressive on paper. It packs a 13-megapixel rear-facing camera with 4x zoom and 5-megapixel shooter on the front. Running Android Jellybean (4.2.1), it supports 1080p recording and playback, with HD videos recorded at 30 frames-per-second. The Canvas 4 also includes a rather interesting ‘blow to unlock’ feature which does exactly as you’d expect, the device is unlocked when a user blows into the microphone. 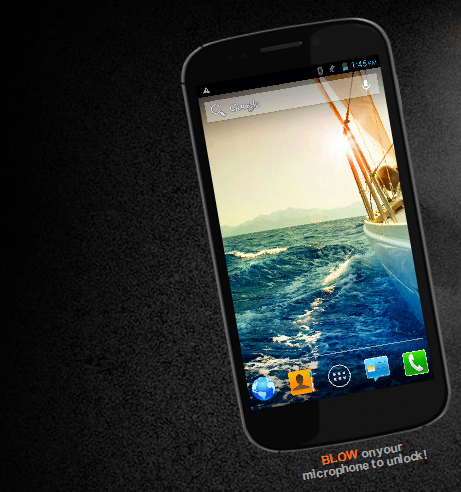 Micromax began as an IT software company in 2000 but it began selling mobile devices in 2008. It’s affordably-priced smartphones have helped make it Samsung’s closest rival in India’s smartphone market.